calls on brokers to do what’s right ! 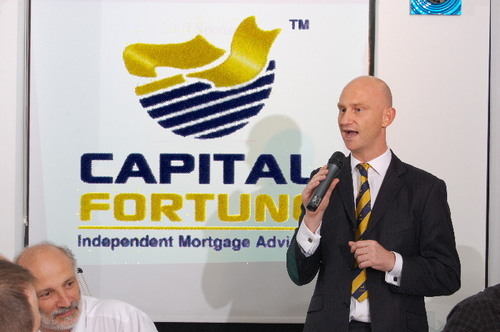 Capital Fortune has welcomed the recent announcement by the FSA regarding dual pricing and claims that direct competition from lenders for customers, will increase not decrease the role for brokers. At a meeting on Friday, Capital Fortune criticised brokers and networks who feared the move towards greater competition in the marketplace. The Financial Services Authority has recently received a backlash from brokers for insisting they should advise customers if better options may be available direct from the lender. The FSA has also launched information on its website showing consumers where to find the best deals. “As a Company, we are at a loss as to what else the FSA should be advising. We’re not convinced the British Medical Association would be telling doctors to go for the next best option for a patient, or for the Bar Council to advise Barristers to settle cases if they should go to trial. It’s about treating customers fairly. If we wish to call ourselves professional, we need to start acting professionally and do what’s right for clients” Killeen stated. This press release was distributed by ResponseSource Press Release Wire on behalf of Capital Fortune in the following categories: Consumer Technology, Personal Finance, Business & Finance, Computing & Telecoms, for more information visit https://pressreleasewire.responsesource.com/about.